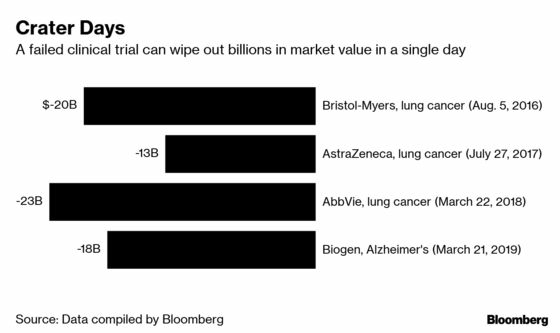 (Bloomberg) -- Before Biogen Inc.’s experimental Alzheimer’s disease drug failed in a trial last month, analysts surveyed by Bloomberg estimated annual sales of about $3.7 billion by 2023. A German artificial-intelligence firm had come to a different conclusion. 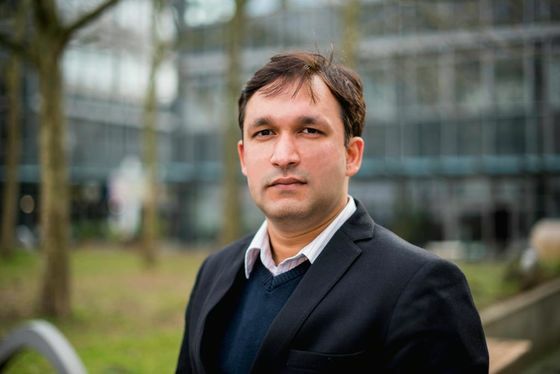 The approach allows the system to assess the scientific risk of a trial’s failure -- because it’s the wrong drug or targets the wrong physiological process -- as well as the possibility that a particular group of researchers won’t be able to conduct the trial successfully because of low patient recruitment or other factors, said Bhardwaj, a graduate of the Indian Institute of Technology in Mumbai who has worked at Boston Consulting Group and the EY management consulting firm. Still, Innoplexus’ own tests on 20,000 completed clinical trials found -- albeit retrospectively -- that it correctly forecast the outcome in about 85 percent of cases, including an important Bristol-Myers Squibb Co. lung cancer trial’s failure and a successful Johnson & Johnson myeloma treatment study.